Behind Aqualize project are Vladislav Koumpatidis and Anastasio Koinis from Greece, better known as Aquafeel and Normalize. The production of this project started in the year of 2008 when they decided to create something different than they usually do for their own solo projects. 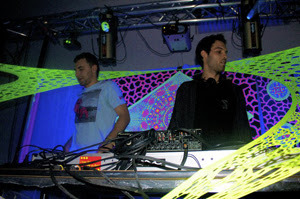 Their first release, "Land of 2 suns" by Iono Music has been one of the most played track on progressive floors in the festival season 2009. The melody in this track is unique and close to what people name, a trance hymn. During their still short career, they have several tracks on various compilations, much more to be released and the upcoming album. Their sound is rich, melodic and creative. It generates a positive vibe in both home listening and for sure on the dancefloor. Top notch production ensures a very high quality product.